The Twiga Foundation is honored to be the fiscal sponsor for the Parenting in the Workplace Institute allowing each organization to fulfill their mission for family consciousness in the workplace. The Parenting in the Workplace Institute (PIWI) researches and provides resources for the implementation of formal programs in which parents can bring their children to work every day and care for them while doing their jobs. For several years, Twiga has been honored to work with the Arizona State University Sandra Day O’Connor College of Law Work-Life Law and Policy Clinic to research, respond to and produce comments for the Depart of Labor on topics including changes in the FMLA related to military families, lactation in the workplace programs challenges faced by pregnant workers. With the help of the law students at the clinic we have submitted pertinent and concise opinions and suggestions on topics related to family consciousness at home, in the workplace and in the community. Our most comprehensive project, BLOCK Fest™, is a research-based interactive exhibit that helps raise awareness of early math and science learning by offering hands-on block play experiences to families with young children. Parents, preschool teachers and the community become more knowledgeable about the importance of early math and science learning as it impacts both school readiness and later math success. 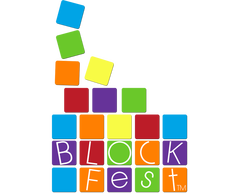 Currently, BLOCK Fest™ is used at 47 sites in 12 states across the nation. The Twiga Foundation became the exclusive licensee of BLOCK Fest™ in 2009 which was created by the University of Idaho Parents as Teachers Demonstration Project in 2005. The founder of the Twiga Foundation began working in the area of work-life and culture in the late 1980’s in conjunction with a group of community thought leaders wanting to improve the opportunities for working parents including the availability of quality childcare, workplace flexibility and effective work environments. The Families and Work Consortium was formed and for a decade they educated and recognized organization in Idaho who established or improved family-friendly work environments as a part of their vision and strategy. In 2005, the Twiga Foundation was formed as a 501 (c)3 Idaho corporation and in partnership with the Families and Work Institute in New York and the Institute for a Competitive Workforce at the US Chamber of Commerce helped to develop the When Work Works project funded by the Alfred P. Sloan Foundation Work and Family Initiative. The Alfred P. Sloan Award for Excellence in Workplace Flexibility was created and implemented in 36 communities between 2005 and 2011. In 2012 the Society for Human Resource Management and the Families and Work Institute integrated throughout the human resource network and continue to assist organizations in developing effective and flexible workplaces. The Twiga continues to promote the work of the When Work Works project and assists organizations in creating effective, diverse and flexible workplaces through participating in workshops, seminars and strategic publications. Twiga will continue the conversation started by the Shriver Report through an action research project in collaboration with three states called: Collective Conversations. Follow us on this website, Facebook and Twitter to hear move about this developing project.